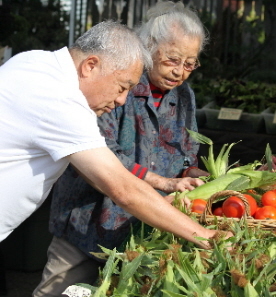 Our sponsorship support to the Neighborhood Farmers Market Alliance (NFMA) will help serve over 400 low income seniors during the holiday season to increase their healthy food access. The NFMA has created an “incentive” program called “Fresh Bucks” which provides “bonus” vouchers for fresh fruits and vegetables to shoppers utilizing EBT benefits at their local Farmers Markets. This program increases direct sales of local produce which supports the success of local farms as well as promotes healthy food options for low income families. The Not Yet Foundation is sponsoring a special pilot project to bring the “Fresh Bucks” incentive program to low income seniors who are in need of healthy food access. This pilot can be used as a template for similar programs developed specifically for seniors in Washington State. We share the NFMA’s passion for preserving our local farmland as well as building healthy communities and have a special interest in supporting senior services.